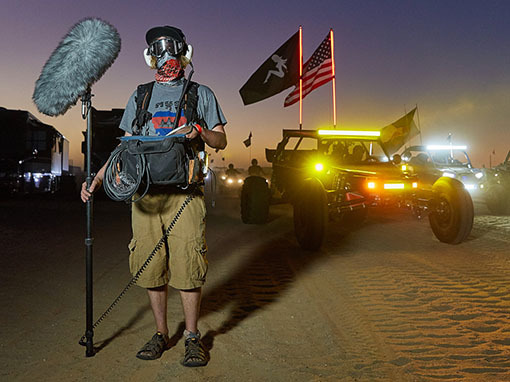 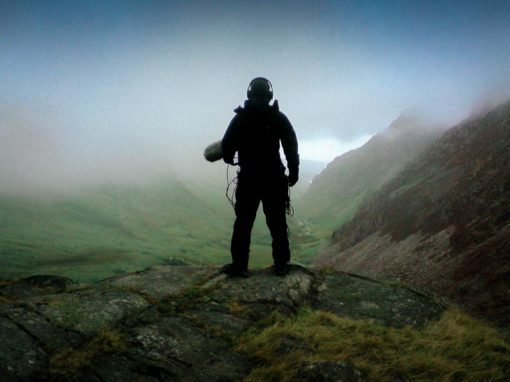 Professional shock and handling isolation for camera mounted microphones. 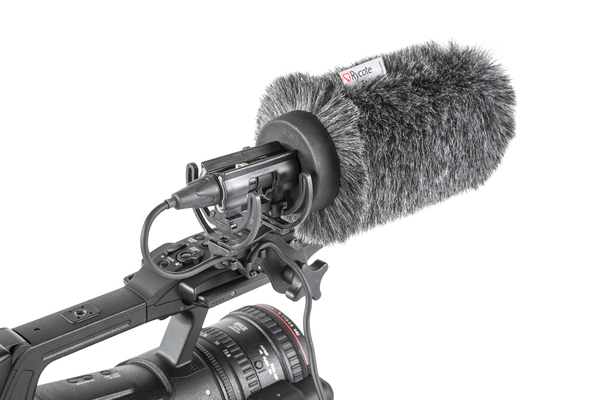 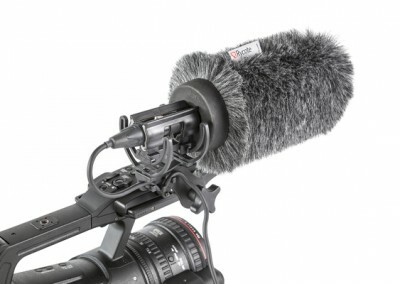 Rycote offers InVision Video and Softie Lyre Mount solutions specifically designed for mounting professional microphones to cameras with industry-leading shock mount technology. 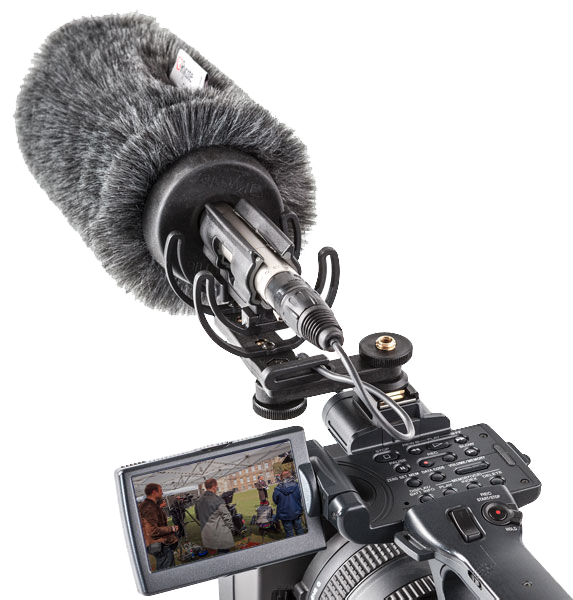 Using Lyre® professional suspensions for isolation, these shock mounts are designed for use with high-quality external camera-mounted microphones between 19 and 25 mm in diameter and up to 300 mm in length. 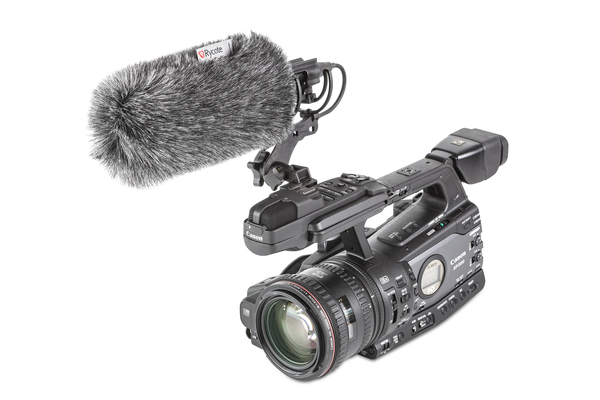 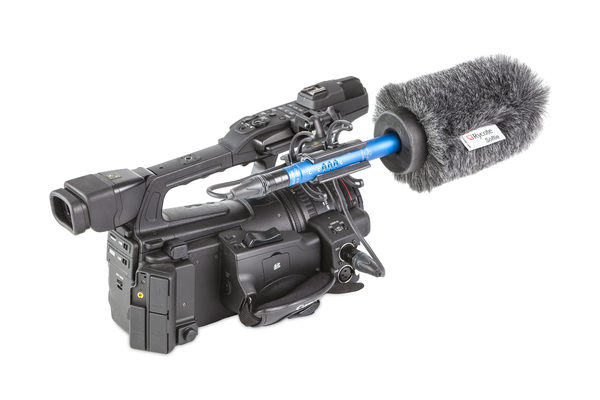 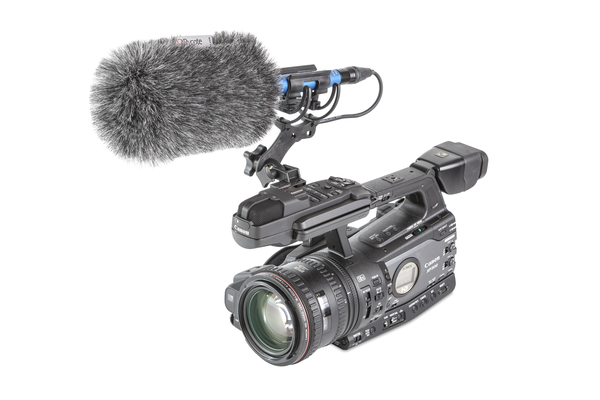 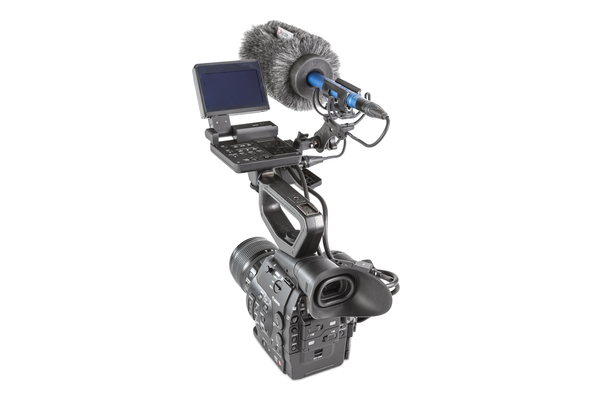 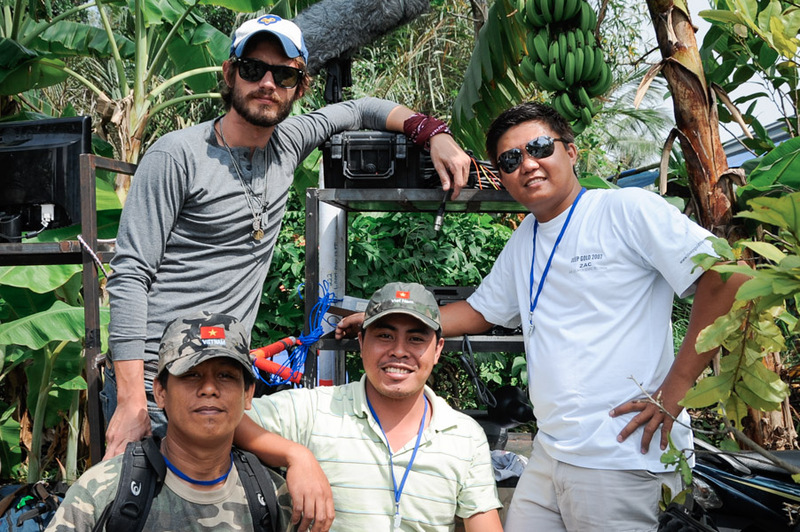 Videographers and camcorder users can now get the best possible handling isolation while using professional, external camera-mounted microphones. 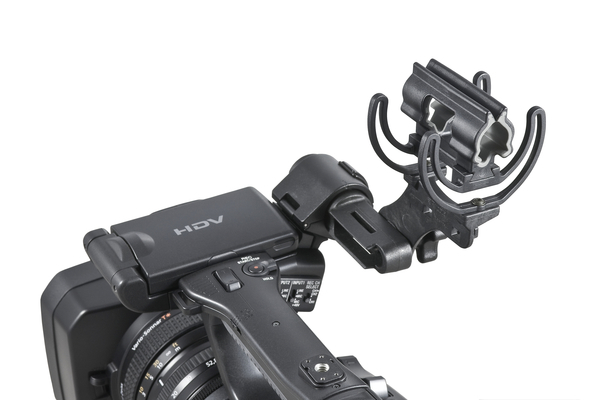 All of these InVision microphone suspensions for camera mounting utilise the Duo-Lyre shock mount. 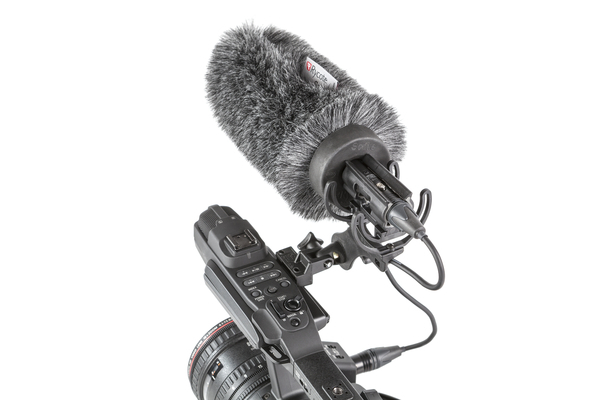 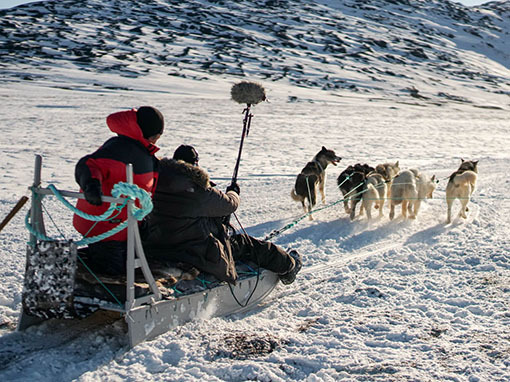 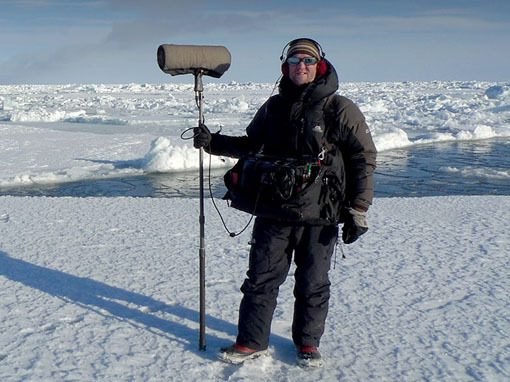 Also available on the INV-7 HG Mk III stand and boom pole mounting, the Duo-Lyre is designed to hold the microphone towards the back while supporting the majority of the weight at the front to accommodate slip-on wind protection such as the Classic-Softie, Super Softie, and BBG Windshields. 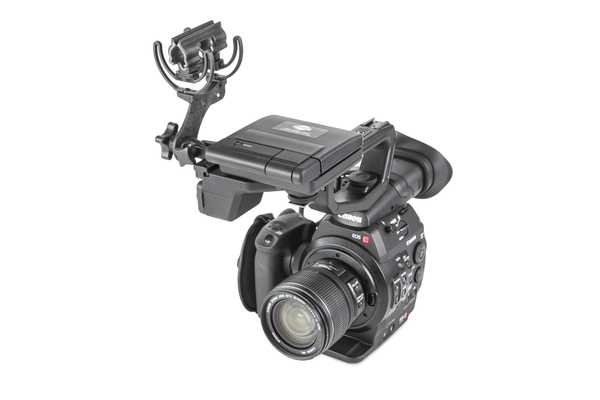 Designed specifically for mounting to a camera or camcorder hot shoe, this Duo-Lyre shock-mount provides excellent protection from camera motor and drive noise and vibrations with substantial improvement over traditional on-camera microphone mounts. 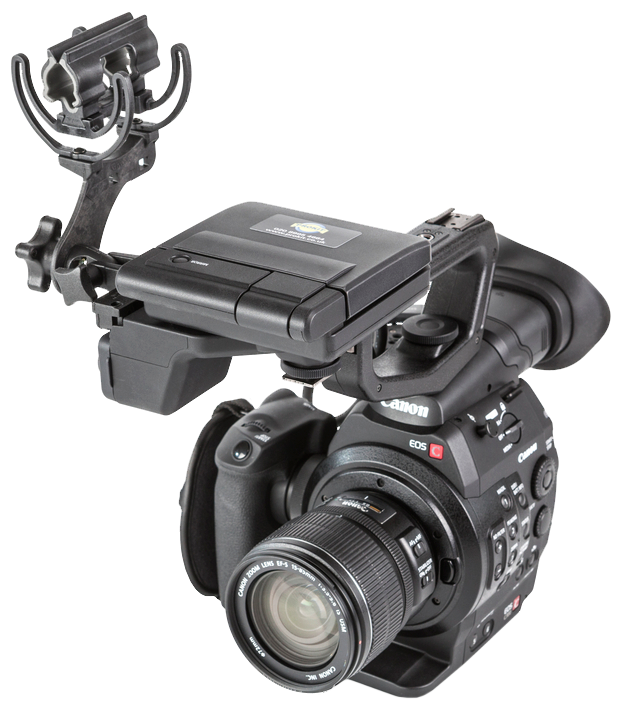 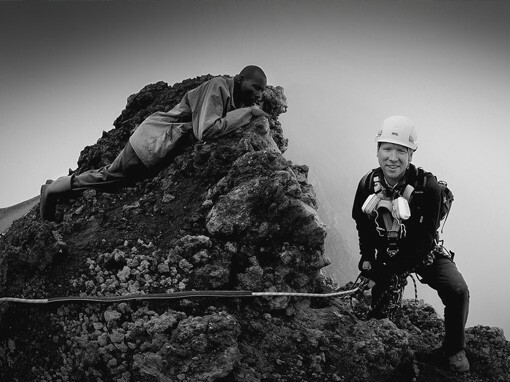 Professional isolation is provided by Duo-Lyre suspensions attached to a mounting bar designed for secure attachment into the slot of a hot shoe mount on top of a camera. 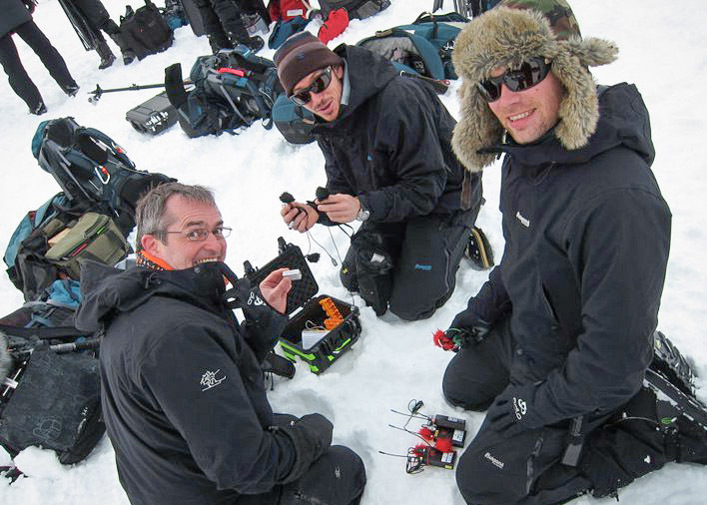 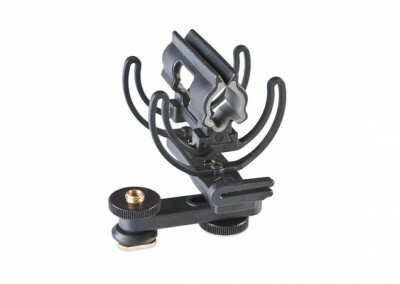 The mount can be rotated 360 degrees around the camera shoe, for maximum ease of use. 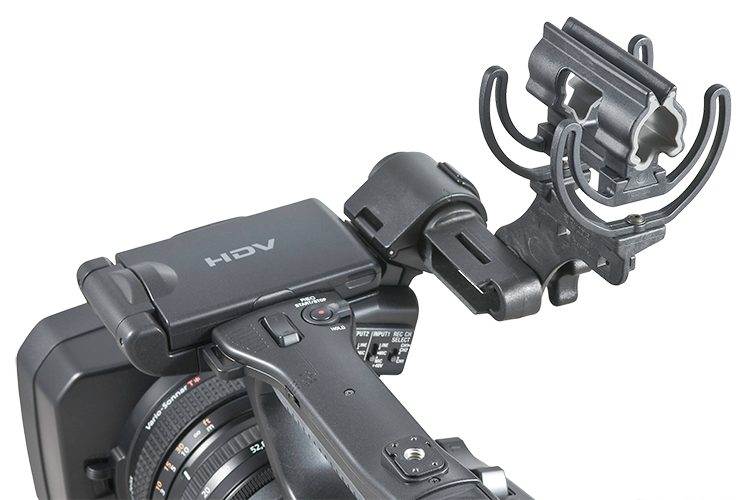 The additional height of the mounts allows for the microphone and windscreen to be held up and behind the lens, to keep it out of shot. 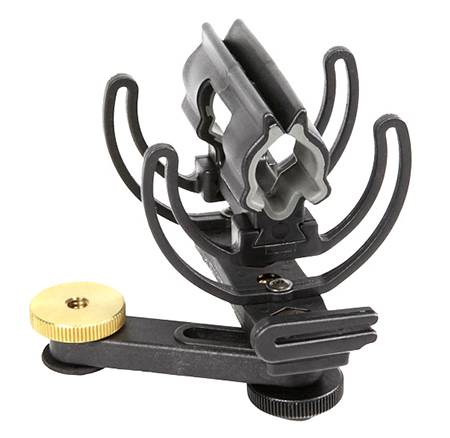 Designed for mounting to the 1/4” thread present on top of many cameras, this lightweight, durable clamp-style shock-mount securely holds the microphone in place. 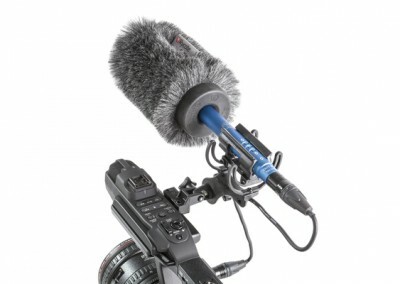 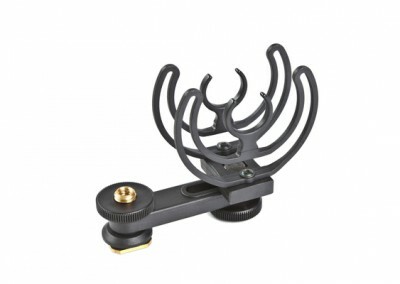 Accommodating microphones between 19-25 mm in diameter, the clip is attached to the durable Duo-Lyre shock-mount for industry-leading isolation while protecting the microphone from vibration and noise caused by camera motor, drive and handling. Additional isolation is provided with a flexible cable clamp, to prevent cable-borne noise. 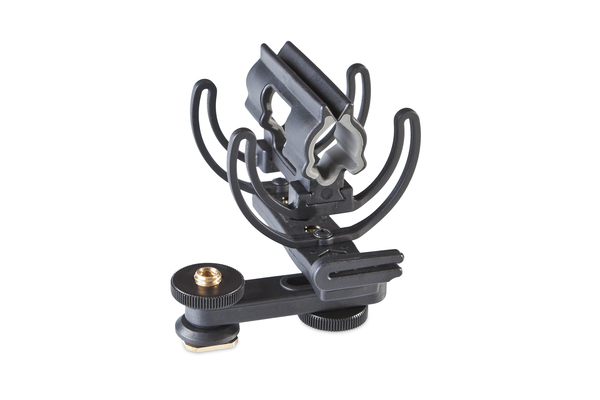 The Softie Lyre Mount with Camera Clamp Adaptor (CCA) attaches onto many professional Sony or Canon cameras with onboard 25-27mm diameter mic holders. 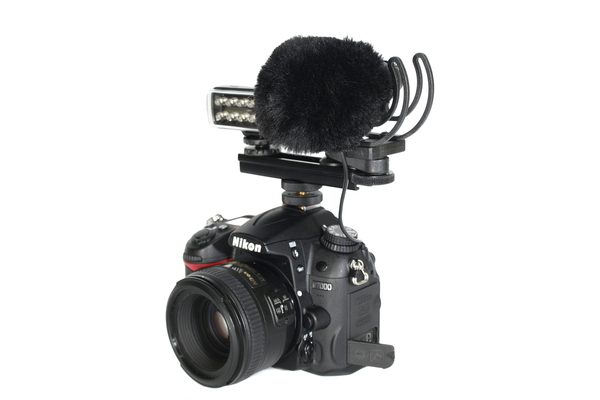 The CCA adaptor fits securely into the mic holder, with no twisting or slipping. 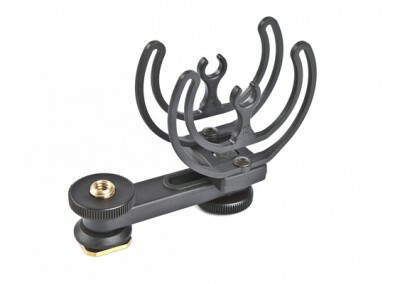 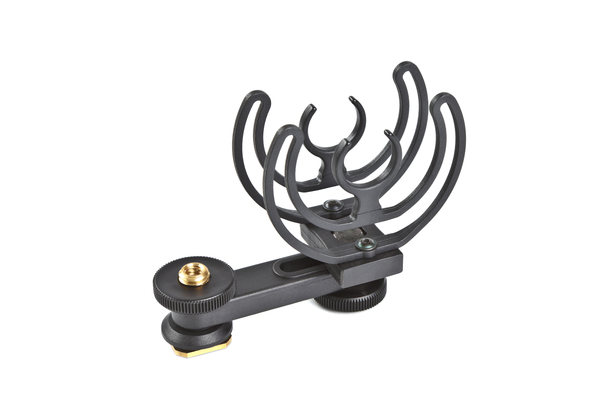 The Duo-Lyre shock-mount clip accommodates 19–25mm diameter microphones, and is attached to the isolating Lyre suspensions providing professional isolation from vibrations and handling noise. 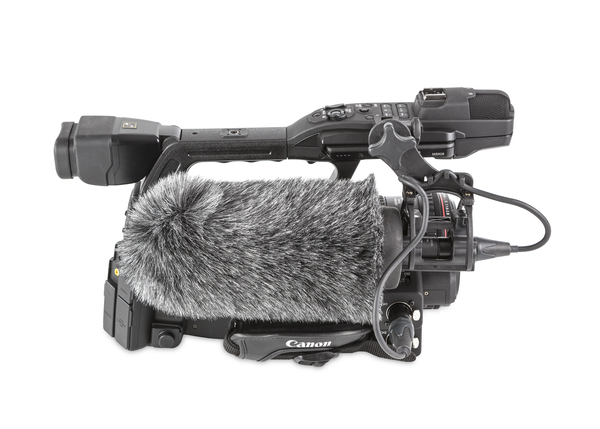 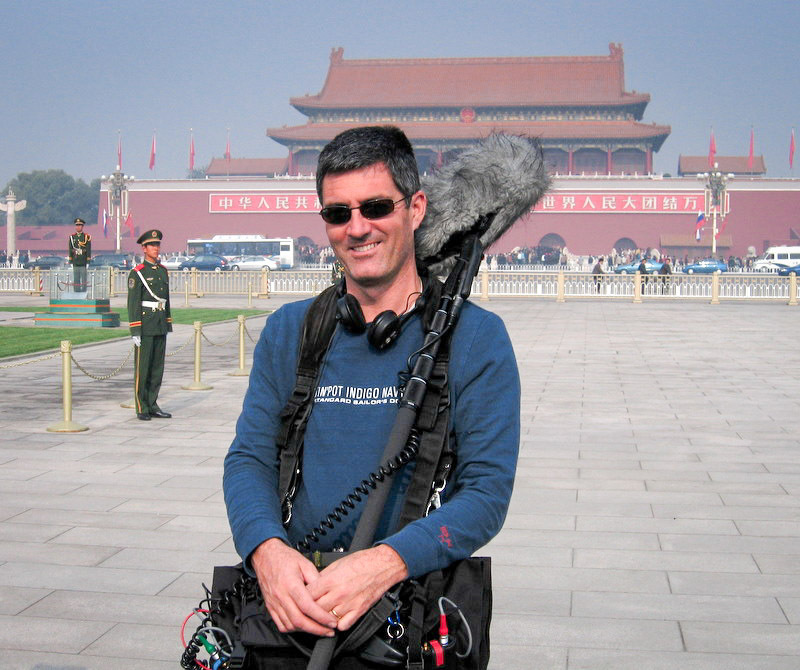 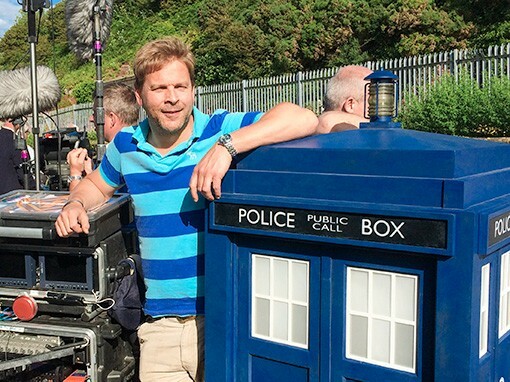 The position of the CCA when fitted, lifts the microphone up and backwards and therefore keeps the microphone and windscreen out of shot – even on wide shots. 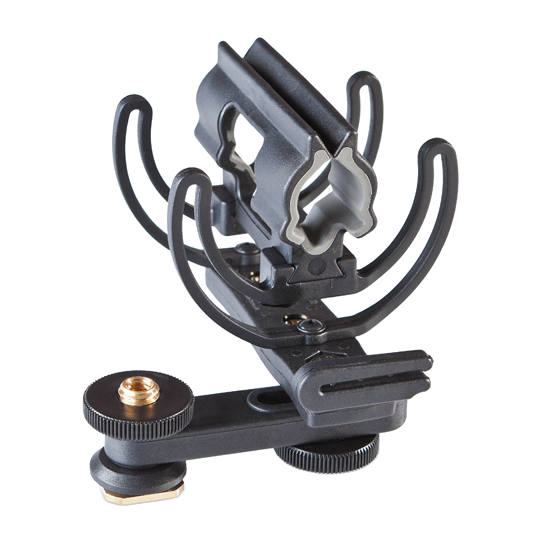 User flexibility is added with an integrated brass 3/8″ thread for boom pole attachment. 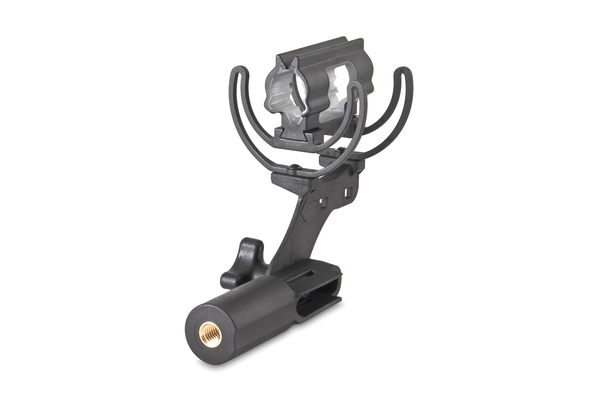 The Softie Lyre Mount with MHR replaces built-in or accessory microphone clips with the Duo-Lyre shock mount to provide professional isolation for externally-mounted microphones. 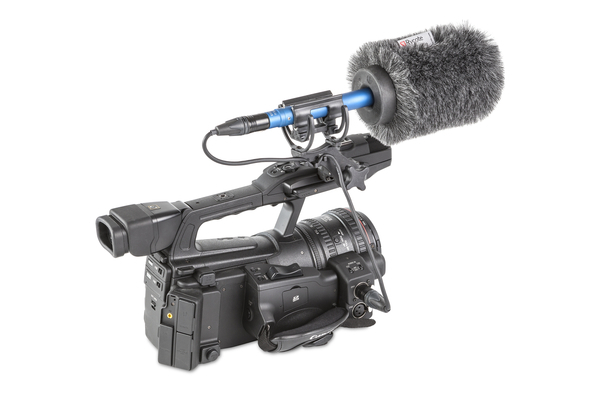 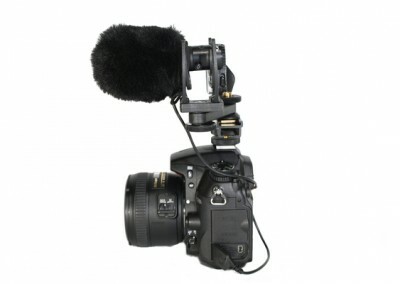 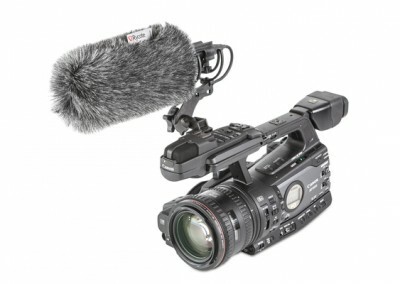 As standard camcorder-mounted microphone clips intended for external mics are susceptible to camera and cable generated vibration and handling noise, InVision Softie Lyre Mount MHR replaces standard shock mounts to provide professional isolation from camera vibration, shock and cable borne noise. 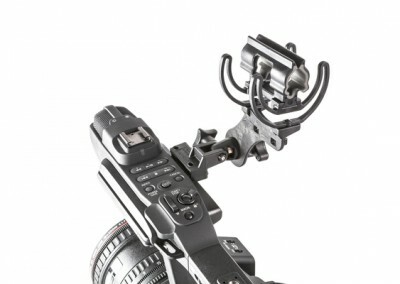 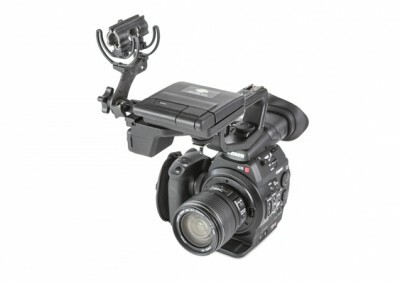 Supplied with three sets of metric screws (20mm-long M2.5, M3 and M4 types), this upgrade shock mount can be directly connected to many common camcorders.